Keep pace with ever-increasing workloads and demands for cloud and mobility services with an HPE-driven data center. Hewlett Packard Enterprise is an industry leading technology company that enables customers to go further, faster. With the industry's most comprehensive portfolio, spanning the cloud to the data center to workplace applications, Hewlett Packard Enterprise's technology and services help customers around the world make IT more efficient, more productive and more secure. Zones is your trusted provider of HPE products and solutions. Contact your Zones account manager or call 800.408.9663. HPE servers will help your organization realize the benefits of innovation, accelerate application performance, and eliminate failures and data loss. 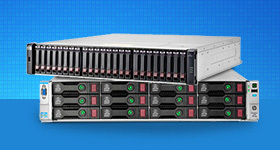 These innovative devices provide a complete infrastructure that supports your business growth. Simplify, integrate, and automate your organization with standards-based, enterprise-class networking devices from HPE, so your business can focus on its core competency, increase efficiency and contain costs. 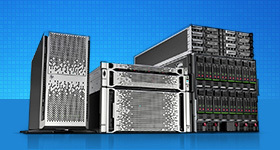 With differentiated technologies and best-in-class integration, HPE offers storage solutions that enhance and simplify any virtualized client or server project. These devices deliver a total systems experience that simplifies IT. Today, IT is expected to deliver secure, reliable services while also enabling rapid business transformation. This new kind of IT requires a new kind of support. 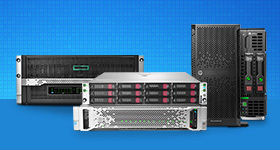 Only Hewlett Packard Enterprise provides the complete support you need to compete and win.